Conagra Brands, Inc. says after the canning process the final product could have been damaged creating the potential for mold. 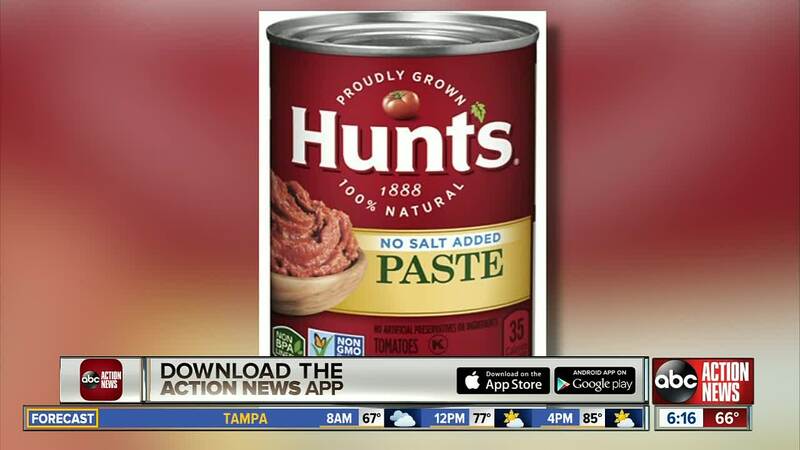 Hunt's is voluntarily recalling cans of tomato paste because they may contain mold. Conagra Brands, Inc. says after the canning process the final product could have been damaged, creating the potential for mold. Those who purchased affected cans should throw them away or return them to the store of purchase. "No other Hunt’s products or Conagra Brands' products are impacted by this recall," according to the FDA website. Consumers with questions can contact the Conagra Brands Consumer Care team at 1-888-280-0301, open 9 a.m. through 5 p.m. ET, Monday through Friday or visit www.hunts.com.